Yesterday at 11.30am, I finally finished my Sims3 legacy challenge. I don't know how long it took me, but I started it several months ago, going back to it from time to time in between doing other things. I didn't try and get a high score. The Legacy Challenge Rules, written by Pinstar, are at the Sims community forums. All I tried to do was actually finish it, as I didn't believe it could be done without the usual bugs interferring. I've played Sims for many years, on and off of course, as I haven't been able to stick with it for any great period of time due to frustrations with bugs. Back in Sims2 I downloaded patches, then patches to fix patches, until the whole thing was simply unplayable. In my Sims3 legacy challenge, bugs started appearing around generation 7 or 8, which I think is pretty good compared to past efforts. I had a previous Sims3 game of 4 generations but that house totally bugged out. I figured it was because I upgraded every single upgradeable item to be self-cleaning, and bugs started appearing with the house. In my legacy challenge, nothing was upgraded, and I kept the house very simple. It was just a 6 sectioned house, each section is 6x6. I started getting lag around generation 7 so went in and sold everything in the household inventory, and sold a lot of little decorative things about the house that I had there just for fun. After I got rid of a lot of unnessecary stuff, the lag eased a great deal. Then about generation 8, I got a wierd bug where a sim would finish a task, then run to the opposite side of the house. Then if they had something in the task queue, they would simply walk back and do that. 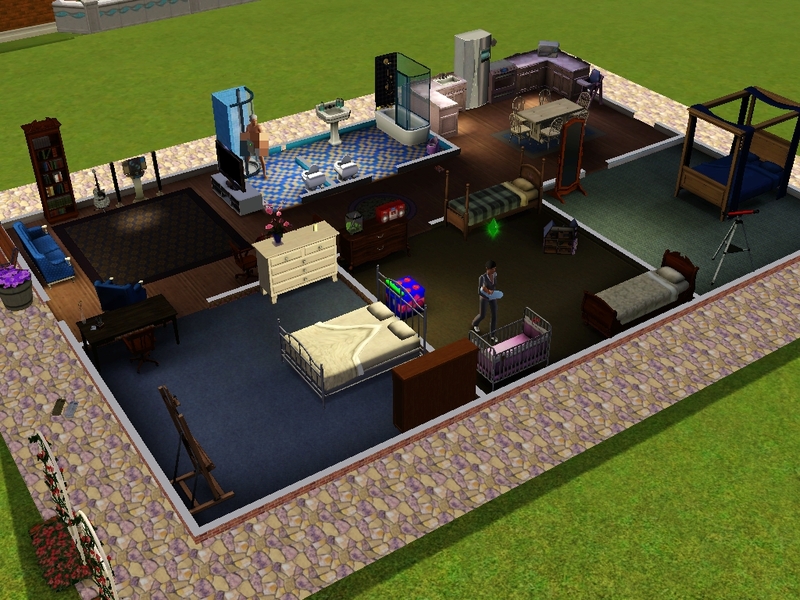 So basically for the last couple of generations, I had sims running about the house randomly. Fun! I didn't bother with a storyboard blog for my legacy like some have. Like I said, I just wanted to see if it was doable with the inevitable bugs. The Kyoti Legacy is one example of a legacy blog of a very high score. Another one I reallly like is The Shenston Legacy, because the matriachy optional rule was chosen. The heir of every generation is on the header, which I think looks quite nice when someone goes to the extra effort. It's interesting for me to see there are other people out there with obviously way too much time on their hands as well! I don't think I'll be doing another legacy, as there are other things I want to do this year, but it was a fun thing to do while I was at it. I didn't think the legacy challenge was too hard, as I just kept it very simple and straight forward. It was just a time consuming exercise!